UPDATED: Sat., Feb. 2, 2019, 7 p.m.
SEATTLE – While Mike Hopkins continues to preach that nothing tangible has been accomplished during Washington’s 11-game win streak and surge to the top of the Pac-12 standings, he still wanted those responsible for the Huskies latest triumph to get recognized from the sold-out crowd. So in the closing moments, Hopkins subbed out his stars to give them the ovation they deserved after reaching an accomplishment that hasn’t happened often in Pac-12 play. But the Bruins couldn’t overcome a first half that was defined by sloppy turnovers by both teams. 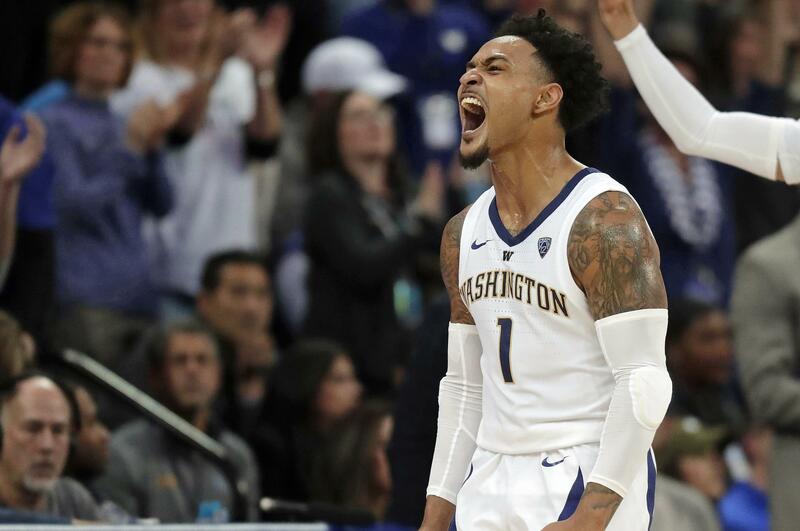 Washington continued to show it struggles when facing full-court pressure defense, while UCLA was simply careless against the Huskies’ zone. UCLA committed 18 turnovers in the first 20 minutes, three more than its season average for an entire game. The Bruins had nearly as many turnovers (18) as shot attempts (23) in the first half. “I think it was a combination of a little sloppy on our part, and then I think you’ve got to give Washington a lot of credit. They’re really good here at home,” UCLA interim coach Murry Bartow said. Washington never trailed the final 30 minutes, but it wasn’t until a late flurry of 3s that finally gave the Huskies a comfortable cushion. Leading 49-41, Thybulle hit a pair of 3s, Dominic Green added another and Sam Timmins three-point play on a dunk helped Washington take its biggest lead at 63-48 with 4 minutes remaining. Timmins had nine points and six rebounds in 24 minutes off the bench with Hameir Wright in foul trouble and Washington losing forward Noah Dickerson to an injury early in the second half. Published: Feb. 2, 2019, 4:46 p.m. Updated: Feb. 2, 2019, 7 p.m.